Battaglia Homes breaks ground on stately 4700 square foot custom build-to-order luxury home in Hinsdale. The home’s 4 levels will be built with elegantly appointed features throughout. Located at 107 East Walnut Street in Hinsdale, the home’s exterior façade will be constructed with hand chiseled natural stone and limestone accents around windows. The exterior will have a large covered porch with cathedral ceiling and a fireplace. The main floor will greet visitors through an impressive two story open foyer and a curved hardwood staircase. With soaring ceilings and open floor plan the main level will feature an expansive great room with coffered ceiling, a state of the art gourmet kitchen with breakfast nook, a formal dining room with intricate crown molding, and a guest bedroom with en suite bathroom. The second and third levels feature 4 bedrooms, all with en suite bathrooms and elaborate millwork, and a separate library with detailed wainscoting. The lower level will be finished with a large entertainment room with fireplace, a wet bar and an exercise room. Established in 1992, Battaglia Homes is an award-winning luxury custom home builder serving Hinsdale and the surrounding western suburbs of Chicago. 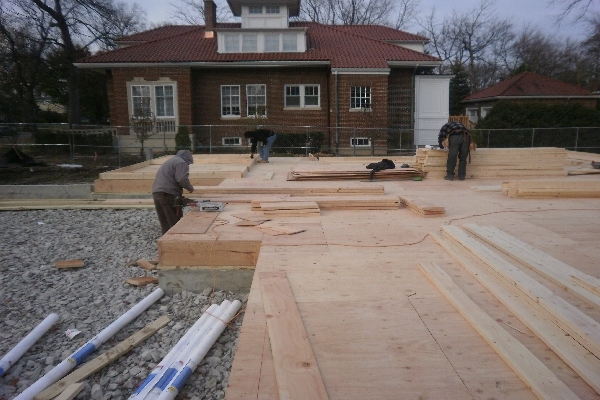 For more information contact us today at 630-669-4280 or visit us at www.battagliahomes.com.